How to Drink Sake Like a Pro? Sake is prepared from fermented rice. It is often called as fine Japanese wine, but the brewing process is pretty different. Also, the ABV or alcohol by volume of sake is much greater when compared to than that of beer or wine. The sake rice is ground to so that it primarily contains starch content. Fungus is added to the mashed rice to convert starch into sugar. In the next phase, sugar is fermented when yeast is also present. The aroma, taste, and the quality of the sake depends on the fermentation method applied. The amount of milled rice is one of the contributory factors that decide the type of sake that is going to be produced. The higher in quantity the ground sake rice, the more clear and subtle the flavor of the drink. The blending of brewer’s alcohol with the fermented alcohol is yet another critical aspect of the sake story. It is vital to comprehend that such an addition does not steal the unique and distinct taste of the drink, but adds richness to the drink. In addition to this, the brewer’s alcohol also extends the alcohol’s shelf life. The ABV of pure sake is around 14% to 20%. The drink is diluted with water before bottling by the manufacturers. The fragrance and taste of sake are not similar to any other beverage. For the absolute beginners, it is vital to try different kinds of sake before zeroing in on one particular type. When purchasing a bottle of sake, it is essential to read the label carefully. 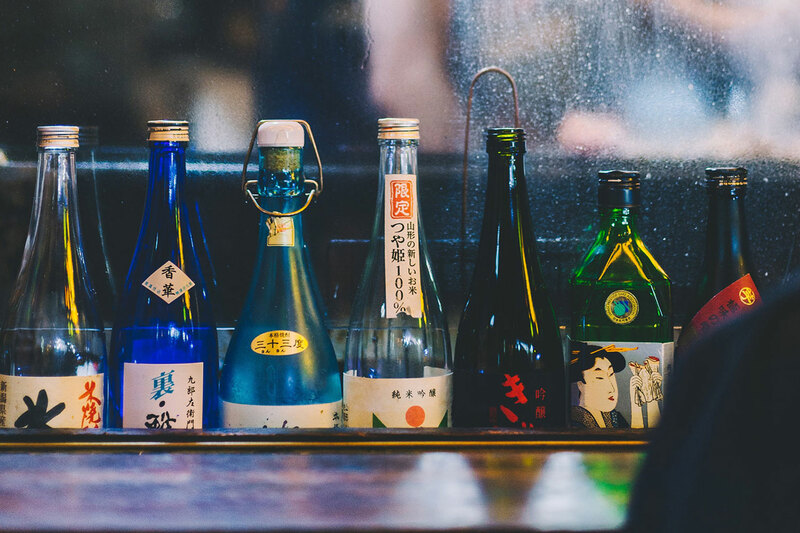 Fresh sake is the best bet for novice drinkers, and unless one cherishes an intense craving for koshu, it should generally be avoided. Matured sake, or koshu, is much rougher and stronger than the fresh ones. The Nihonshu-do tells about the sugar acid concentration of the sake. It is also known as the sake meter value or SMV. An SMV of +5 means it is fairly dry, while -2 points to its unique sweetness. One can select sake according to the preference of that person. Flavor-infused sakes that come with spicy or fruity notes are also worth trying. Sake is kept in porcelain flask known as tokkuri to serve later on. Then it is carefully poured into little ceramic cups known as choko or sakazuki. Wine glasses can also be used for serving chilled sake. For special rituals and occasions, this Japanese drink is poured into saucer-shaped cups. A pretty exciting way to serve sake is in a small box used for measuring rice, i.e., masu. The host may keep the cup inside the box and can serve sake in the cup. The masu can also be kept on the saucer-shaped cup. The host should pour the sake in such a fashion so that it can fill both the containers, which is necessarily a gesture of generosity. Sake can be served at room temperature, hot, warm, or chilled. It is often decided by the alcohol’s quality, season, and the preference of the drinker. Hot sake is best suited for cold evenings, and chilled sake will be much enjoyable on a hot and humid day. Best quality sake is never served hot because the heat spoils the aroma and the flavor. Sake bottles should always be preserved in a dark, cool, and dry place. If someone is not drinking alone, other people should serve the sake to that person and vice versa. When sake is being poured one should hold the cup a little ahead. Similarly, if someone wants to refill, the cup should be held out, slightly. Kampai happens to be the toast that typically accompanies this traditional Japanese brew. All the toasters are supposed to hold the cup near their face and smell the aroma. A small sip should be taken, and it should be allowed to linger in the mouth before swallowing. If someone wants to warm the sake, the tokkuri should be placed in a saucepan of boiling water. It can be enjoyed best at around forty to forty-five degree Celcius. Some people also add other liquors and fruit juices to their sake. It is essential to keep in mind that it is strong alcohol, and anybody drinking this beverage should be sure of the fact that the drink can be consumed and held by that person. It holds even more true for sweet sake, that can be consumed pretty quick. Sake is very much enjoyable when accompanied by food. It is a myth that it cannot be served with sushi, as both contain rice. There are no such hard and fast rules. The drink particularly shines well with spicy dishes. The contrast in different flavors is palatable and intriguing. Veterans suggest Junmai with sushi and seafood, while Junmai Daiginjo and meat proves to be a killer combination. 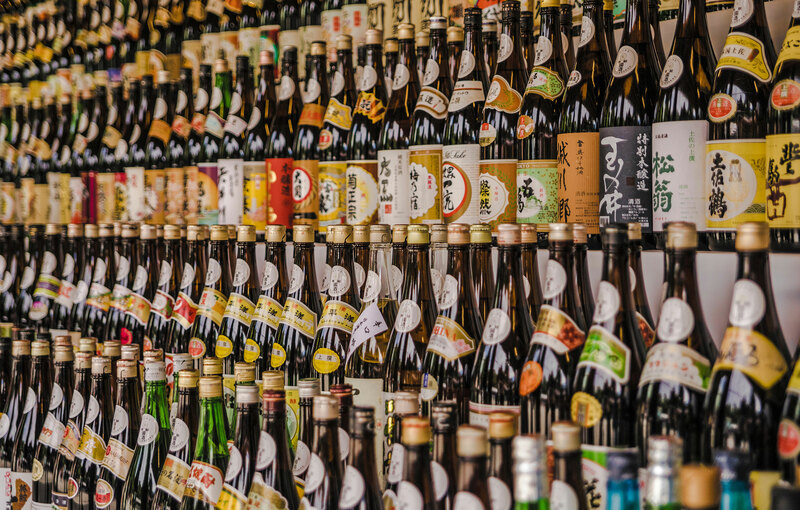 Though the majority of the sake is ordered as chilled or hot, there are various kinds of sake available for consumption. It is a sweet, traditional, low-alcohol sake. It is undiluted and comes with zero added water, and the ABV of the drink ranges from 18% to 20%. Majority of the sake is diluted with ample water to reduce the alcohol concentration to 14% to 16%. It refers to local or regional micro-brewed sake. It is made to age so that it contains a sweet and virtually honey-like flavor accompanied by a yellow tinge. It is prepared from unpolished or brown rice, and the flavor is pretty much similar to the Chinese rice wine. It is unfiltered, clear in its color, and happens to possess a more intense aroma and flavor when compared to than those of the filtered sake because the process of filtration spoils both aroma and flavor. It is unpasteurized and needs refrigeration for preservation. It is popularly served in Japanese restaurants operating in the western soil in the form of chilled sake. This drink is necessarily an unfiltered hazy sake with the noticeable exception of mesh used to disintegrate the starter mesh from sake gradually. The finished sake is quite sedimented, and hence, it is often vigorously shaken before serving. The name indicates to the fact that it is not allowed to age for nine to twelve months and which is the case for other sakes. Hence, this type of sake happens to be more acidic. It is a matured sake preserved in wooden barrels or casks. It happens to possess an intense woody flavor contributed by the wooden casks. This drink is often served at ceremonies like building inaugurations. It is a specialty sake that comes with a more intense rice flavor. It is prepared by polishing the grains of rice much less and which is not the case for a traditional sake. Hence, it has got a significantly high rice polishing ratio.